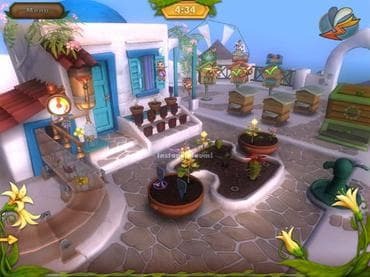 Help little bees make delicious honey and find their missing queen in Bee Garden - The Lost Queen, a delightful time management pastime. The worker bees are tired of spending their days laboring. When they complain to the queen, she decides to teach them a lesson and leave them without a leader. Now the bees have no guidance and are unable to fend for themselves. Will you help guide the bees to continue producing honey while searching for their lost queen? This sounds easy, but the peaceful gardening setting quickly turns into honey-making madness in 40 wonderful levels. Instruct your bees to plant flowers, water them, and then collect the nectar. Buy upgrades including new flower containers and seeds. Fight pests and weeds. You can also enjoy a special hidden object mini-game within the gameplay itself. Download free full version game today and find missing Queen! If you have questions about Bee Garden - The Lost Queen game, please contact us using this form.